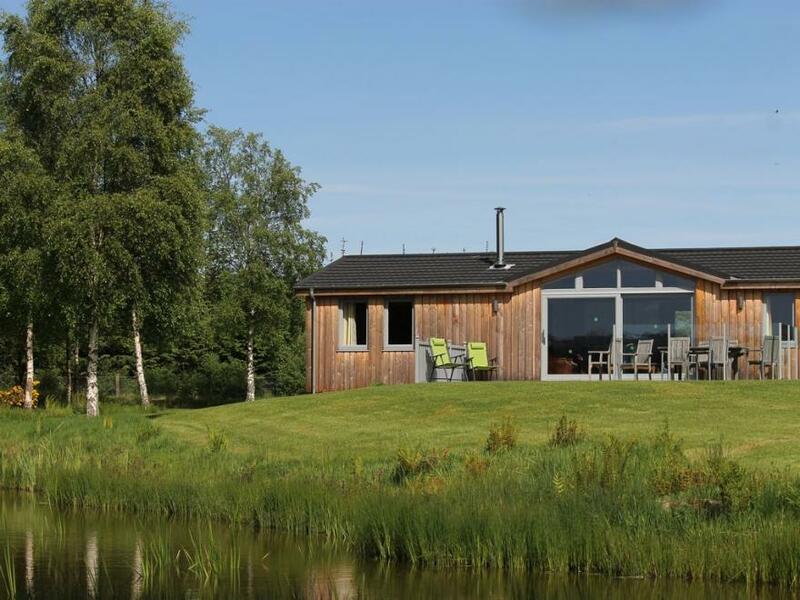 23 Struthan Beag is a modern log cabin set on a lodge park, one mile from the Perthshire town of Scotland. 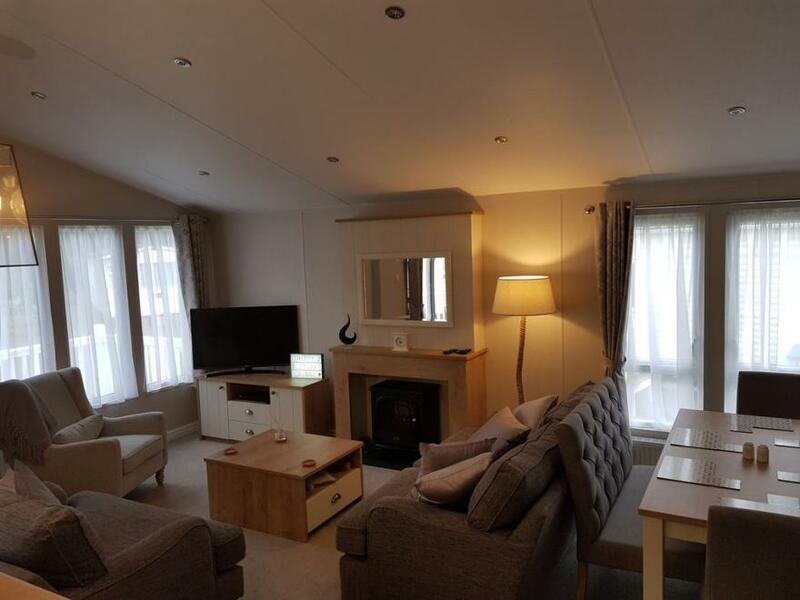 It benefits from two bedrooms made up of a double with an en-suite and a twin room, along with a family bathroom, this lodge can sleep up to four people. Its interior also contains an open-plan living area including a kitchen, a dining area and a sitting area. The outside provides off road parking for three cars and patio areas to the front and the rear with furniture. 23 Struthan Beag is a high-quality getaway for friends, family and couples alike to enjoy. 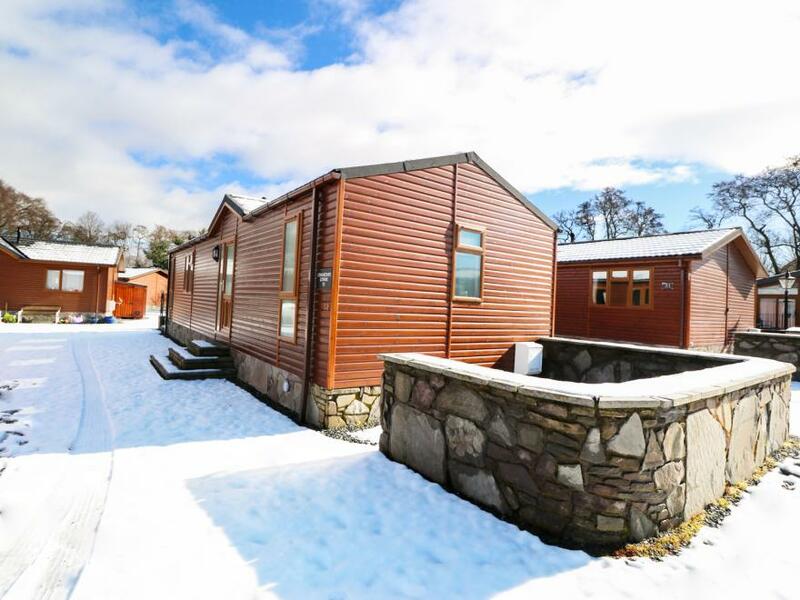 Cruachan Lodge is an up-to-date log cabin placed on a holiday park, on the outskirts of the Perth and Kinross town of Auchterarder. It comes with two bedrooms comprising of a double with an en-suite and a twin room, there is also a family shower room, the property can sleep up to four people. The accommodation also consists of an open-plan living room made up of a kitchen, a dining area and a sitting area. Outside there is off road parking for three cars and a patio to the front with furniture. Cruachan Lodge is a stunning hideaway in a perfect location for touring this wondrous rural region. Nestled away in a charmingly secluded, woodland setting, Pitlandie Wood Lodge provides luxury accommodation with stunning views of rural Perthshire. It offers an excellent retreat for those seeking peace and tranquillity that is only 15 minutes from a city and being located in central Scotland, its also a good base from which to explore the rest of the country. The lodge is of a contemporary design made of larch, with spacious accommodation for six people including a luxury steam room. With mountain views and over a mile of private woodland walks, Pitlandie Wood Lodge is a little sanctuary. LAST MINUTE DEALS for November and December 2018 bookings!! Come and do your CHRISTMAS shopping in Pitlochry and the Festival Theatre showing THE WIZARD Of OZ amongst other shows!! Awarded 4 STAR QUALITY ASSURANCE AWARD by Visit Scotland. Also many EXCLUSIVE DEALS available for Pitlandie Wood Lodge guests. The lodge comprises: Bedroom 1 – King size bed with en-suite bath/shower room. Bedroom 2 – Double bed with a wall-mounted TV. Bedroom 3 – Twin Beds. Wet room from which access is taken to the luxury STEAM ROOM. Kitchen/dining room equipped with all modern appliances, including fridge/freezer, gas hob, electric oven, microwave, dishwasher and washer/dryer. An open plan sitting room with a 42” flat screen TV with surround sound, Sky TV, Blu-ray DVD player and a portable iPod docking station. There is Wi-Fi throughout. White Egyptian cotton, bed linen and towels are provided. The lodge has gas central heating and a log burning stove for extra warmth on those chilly Scottish winter evenings. Large sliding doors lead out onto a spacious deck with table and chairs and deck chairs. You can dine al fresco overlooking a pond with stunning views of the mountains beyond and observe nature at close quarters. Adjacent to the lodge is a mature pine wood where there are red squirrels, roe deer, pine marten and countless bird species. Over 1km of footpaths extend from the lodge garden through approximately half of Pitlandie Wood's 100 acres. There is ample private parking for six cars. 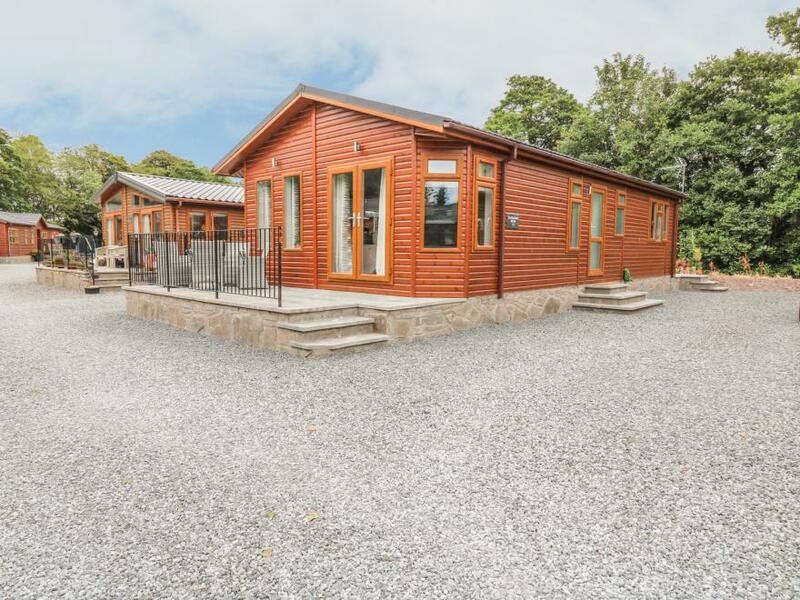 Avonal Lodge 24 is a lodge style cottage nestled on the Stewart Leisure Parks site in the village of Dunning. It homes two bedrooms, with one double bedroom with en-suite, including a double walk-in shower, basin and WC and a twin bedroom with single beds. The bathroom poses a walk-in shower, basin and WC. Inside you will also find a open-plan sitting area, kitchen, dining area and sitting room. Additionally, you will find a small snug area. Off-road parking is available. Outside you will have access to a wraparound patio area. 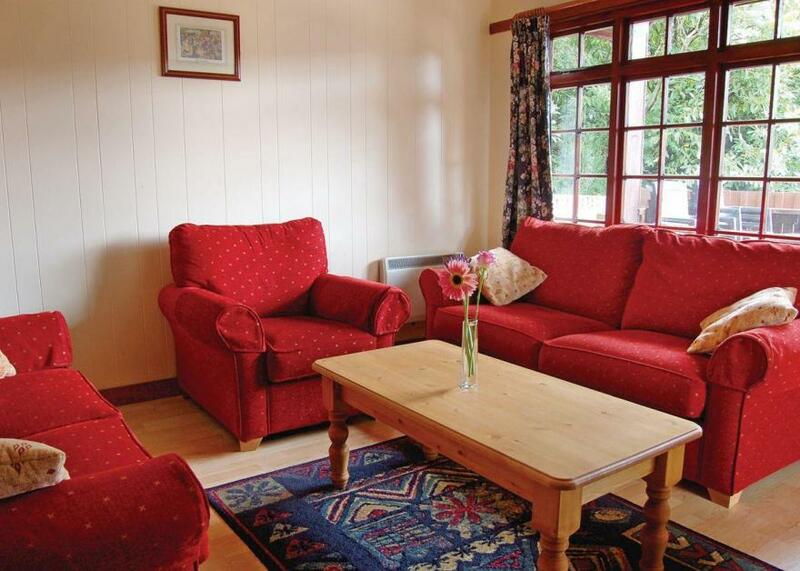 Avonal Lodge 24 is charming cottage in a calm and tranquil location. 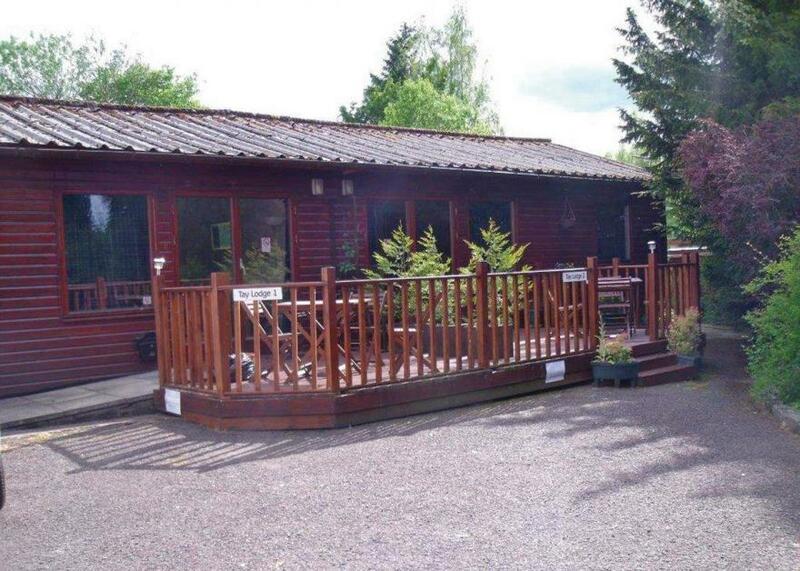 Situated on Tummel Valley Holiday Park, our modern lodge has access to all of the on-site facilities including swimming pool, restaurant, games room, Wi-Fi, shop and play park. 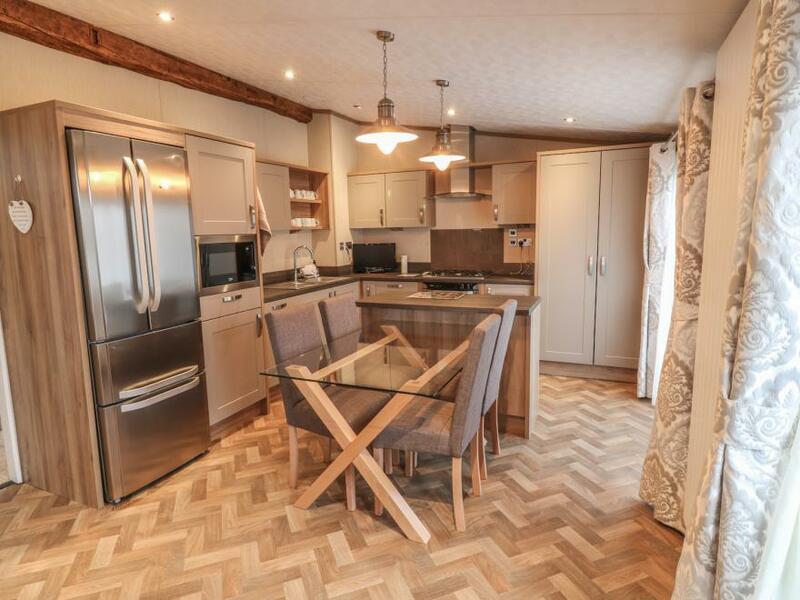 The lodge was new in 2017 and is family friendly with lots of additional extras for children. The lodge is a peaceful retreat with lots of activities nearby to keep you busy, but also has a large selection of DVDs, books, toys and games for lazy days. 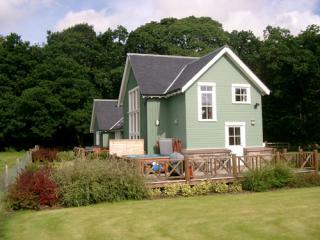 This modern and well equipped lodge has a master bedroom with king size bed, walk in wardrobe and en-suite shower room. Bedrooms 2 and 3 have twin beds, wardrobe and dressing table. The open plan living/dining/kitchen is warm and welcoming and has patio doors leading to the enclosed decking area. There is also a utility room with a washer/drier. Quality semi-detached lodge with one double and one twin. Double glazed and heated throughout. Decking.. Surrounded by picturesque countryside in the heart of rural Perthshire, just 10 miles from the fair city of Perth, this beautifully located park sits near the rivers Tay and Isla and boasts views of the Grampian Mountains. A superb, centrally located base for exploring this lovely Scottish area. There is a launderette* available for all dates. *Charges apply.. Surrounded by picturesque countryside in the heart of rural Perthshire, just 10 miles from the fair city of Perth, this beautifully located park sits near the rivers Tay and Isla and boasts views of the Grampian Mountains. A superb, centrally located base for exploring this lovely Scottish area. There is a launderette* available for all dates. Very comfortable real log lodge with one double and one twin. Double glazed and centrally heated. 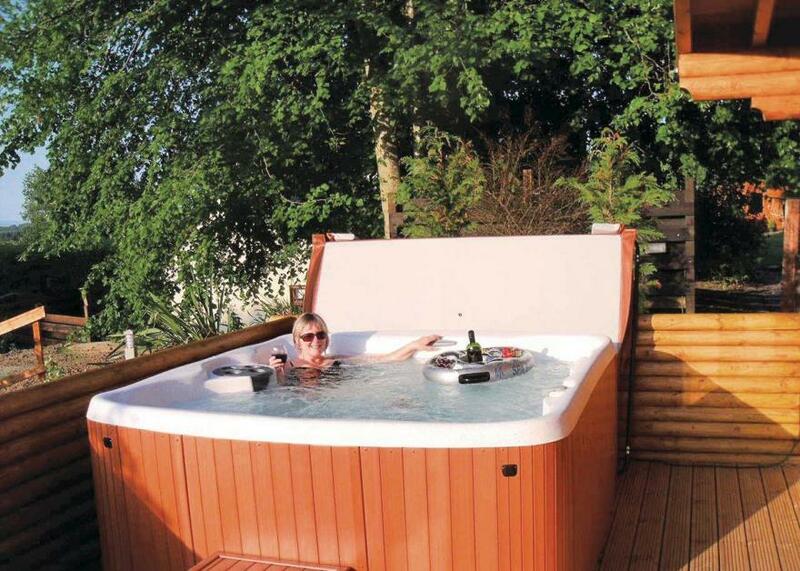 Decking with garden furniture barbecue and outdoor hot tub. No pets.. Surrounded by picturesque countryside in the heart of rural Perthshire, just 10 miles from the fair city of Perth, this beautifully located park sits near the rivers Tay and Isla and boasts views of the Grampian Mountains. A superb, centrally located base for exploring this lovely Scottish area. There is a launderette* available for all dates. 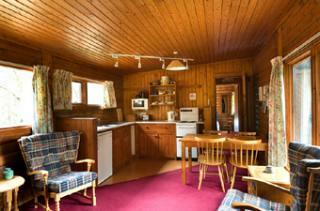 Comfortable and roomy lodge with one double, one twin and one with bunks. Additional sleeping for two in the lounge area at extra charge.. River Edge offers you all the benefits of a family owned and run park combined with a wonderful setting beside tranquil River Earn. Take advantage of the rural location, whilst only being 3 miles from Perth and just 35 miles from historic Edinburgh. Moncreiffe Hill just behind affords spectacular views over Perth and Strathearn. Children will enjoy the goats, hens and their own play area, and there’s free trout fishing in the River Earn. Golf, cycling and watersports are all nearby. There are pubs, restaurants, coffee shops and takeaways available locally.. River Edge offers you all the benefits of a family owned and run park combined with a wonderful setting beside tranquil River Earn. Take advantage of the rural location, whilst only being 3 miles from Perth and just 35 miles from historic Edinburgh. Moncreiffe Hill just behind affords spectacular views over Perth and Strathearn. Children will enjoy the goats, hens and their own play area, and there’s free trout fishing in the River Earn. Golf, cycling and watersports are all nearby. There are pubs, restaurants, coffee shops and takeaways available locally.